Newly crowned five-time MotoGP champion Marc Marquez does not need to switch manufacturers to prove his greatness, says Valentino Rossi. Rossi famously switched over from Honda to Yamaha for the 2004 season after winning three premier class titles for the former brand, and went on to rack up another four crowns for his current employer. The Italian is said to have felt undervalued by Honda, which at the time believed its bike - not Rossi - was responsible for its dominant seasons in 2001, 2002 and 2003, prompting him to leave. 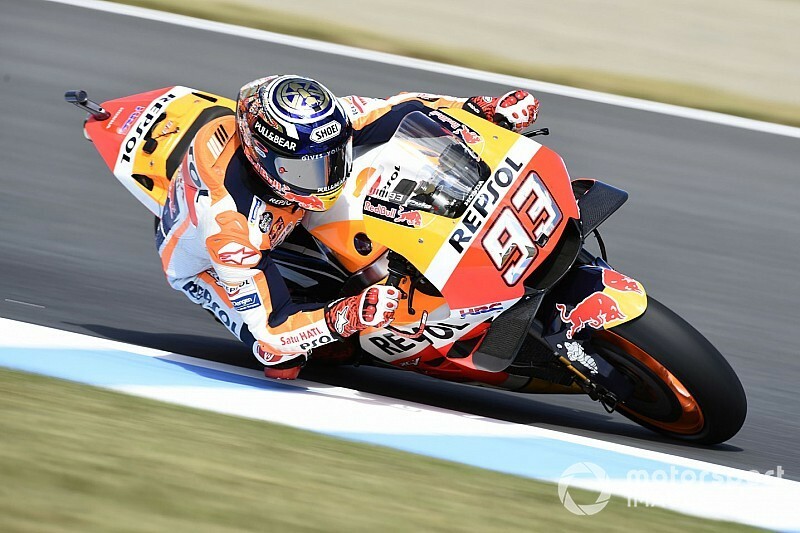 But speaking ahead of this weekend's Australian Grand Prix at Phillip Island, Rossi stressed that a mid-career change was not essential for Marquez to add to his growing legend. 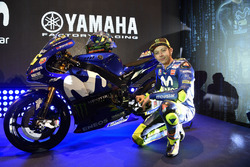 "It’s something very personal," said Rossi. "He doesn’t have to change the bike. He has to think, [but] if he feels good with Honda, he can make all his career with Honda. "It depends very much. It’s a very personal choice, what you feel, what you find, for find the motivation to race, but I think everybody has his own way." Marquez signed a new two-year deal with Honda earlier this year, which means he will remain with the Asakadai-based manufacturer until at least the end of the 2020 season. 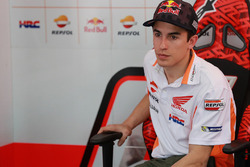 Asked about comments made in the press by HRC President Yoshishige Nomura this week expressing his desire to keep Marquez for his entire career, the Spaniard quipped: "We can speak about it, no problem!" He added: "Like I always said, I feel good with HRC and when everything goes well, this is important, and since I arrive in Honda we are in one of our best moments, together with the factory. "Since then we can show our potential on the track. I’m feeling good, so when everything is fine, keep on the same way." Rumours have already circulated in the Italian media in recent weeks that Ducati is considering whether to make a bid for Marquez's services for 2021, after his current Honda deal expires. Andrea Dovizioso said last weekend in Japan that the Bologna marque would be "stupid" not to sound out Marquez. Bautista: Timing of factory Ducati chance "ironic"